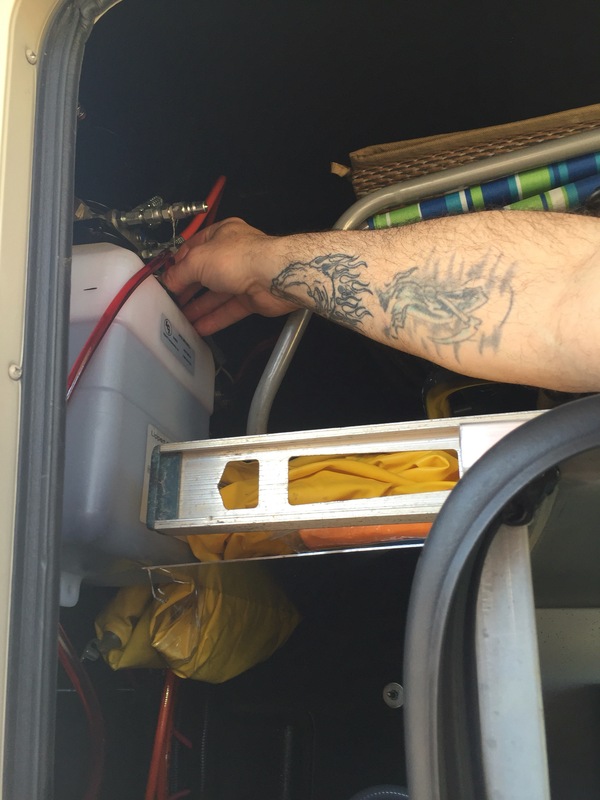 The leveling jacks on our camper have made an obnoxious “popping” noise (along with movement) since day one! We have a 2015 Grand Design Momentum 385TH that we bought back in March of last year. Apparently the “level-up” automatic hydraulic leveling system by Lippert is known for “popping”. 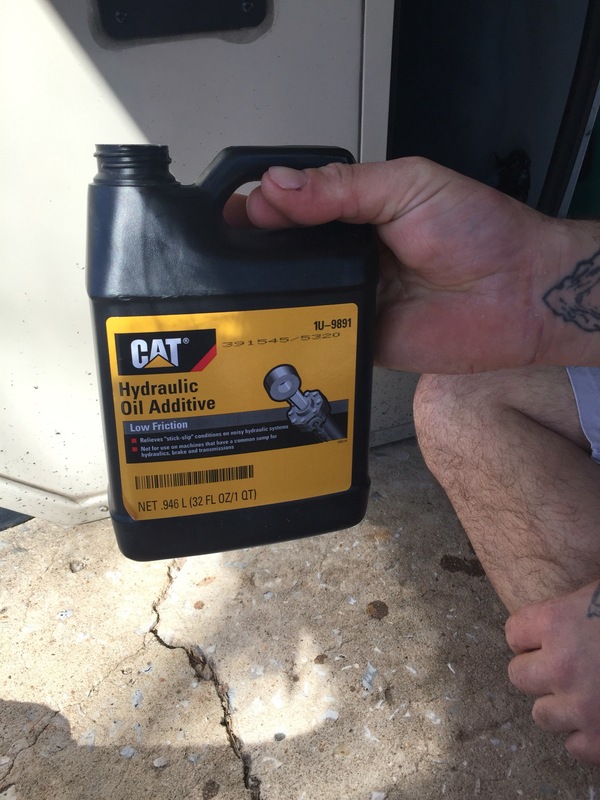 So much so that Lippert even put out a bulletin of sorts suggesting the replacement/addition of one quart of “fork oil” or the CAT brand hydraulic oil additive. We’ve known about this for a while now, we just haven’t really made an effort to find this stuff… Until the other day. We found a CAT store in Oklahoma City and went to pick up a quart of this miracle liquid. It wasn’t cheap! $32 for a quart! 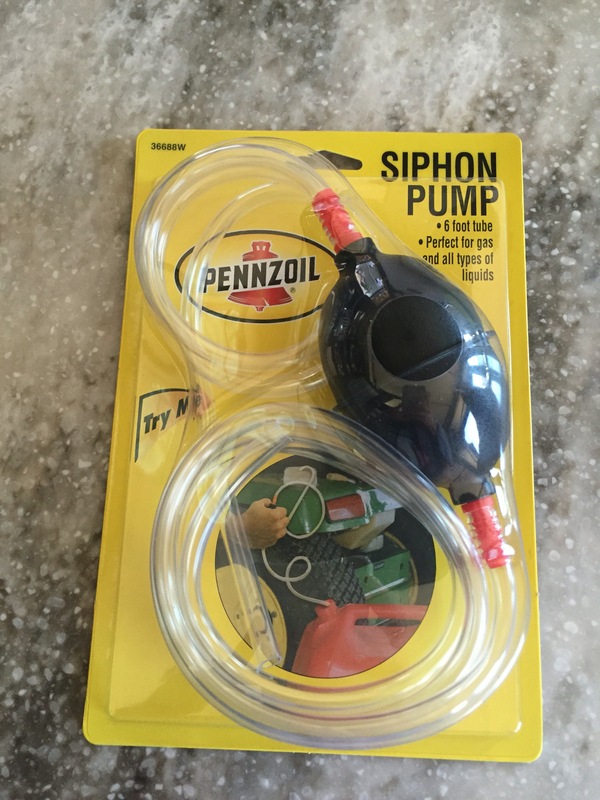 But we picked up a siphon from the automotive department of Walmart and went for it. 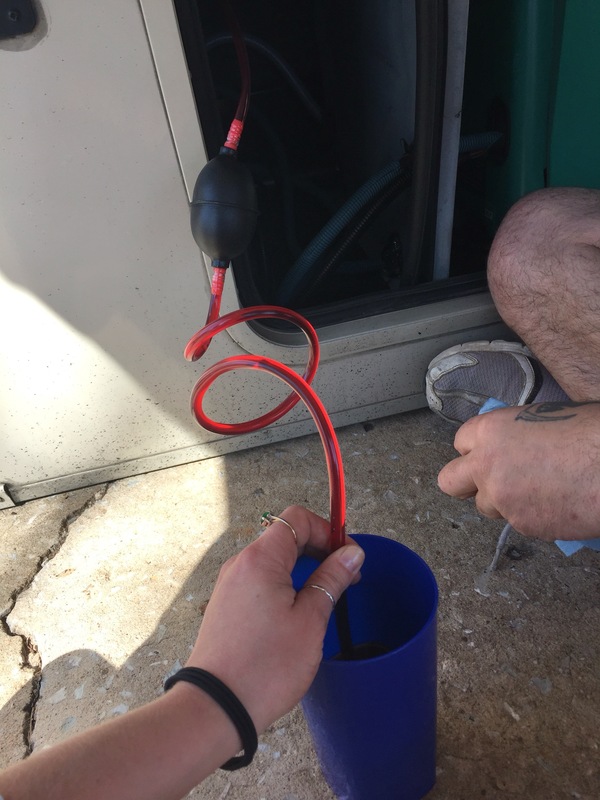 We raised all the jacks to get all the fluid back to the reserve then sucked out a quart of the hydraulic fluid before we poured in the quart of additive. We ran the jacks up and down a few times to get it all mixed in to the system and since then we’ve had nothing but silent jacks! No more getting out of bed at 3am and hearing, and feeling, a huge POP! This entry was posted in 2015 Grand Design Momentum 385TH, Camper, RV and tagged 5th wheel, 6 point hydraulic automatic leveling system, camper, CAT hydraulic oil additive, fork oil, Grand Design, leveling jacks, Lippert, Momentum, popping jacks, popping sound, RV by Rachel Gillen. Bookmark the permalink. Wow thanks for the info! Unfortunately, I’m the only one who’ve heard of the popping sound. Every time it popped, my husband was either asleep or at work and I have to tell him about it. I think all this happened when we parked at another location and they had a lot of rain and one part of the ground wasn’t level and when we put our jacks down, it took a long time for it to level and it was unusual for it as it only took a few minutes to do . When we were ready to leave, not all of the jacks went up the way it was suppose to do but corrected it self after awhile. Now we are in another area for a few days and I was hearing all the popping sound(not to many, but enough to scare me). But thank you for the tip. I will show it to my husband so that we can get what we need to stop the popping sound before it gets worse.